Call For Member Artists: 5th Anniversary Celebration! Celebration Saturday, Sept. 20, 2014. Submissions due Sept. 6-7. Can you believe it? We’re approaching our Fifth Anniversary! We’re going to throw a celebration like no other coupled with a Silent Auction! And it’s your turn to shine. On Sat., September 20, 2014, the Solomon Levy Gallery will highlight both 2- and 3-dimensional work of all disciplines. There will, of course, be live music, dancing, food and beverage. But this year we are introducing something new—our Silent Auction will focus entirely on dining and the arts. That’­s right—original fine art and handcraft, museum and arts organization memberships, tickets to the performing arts, fine arts classes, and more. The evening will shine with the diversity of talent at MAAG. All artists that donate to the continued success and growth of MAAG will receive one free ticket to the event. We need your help to make it a success and are asking you for a special piece of your artwork (nothing over $500 in value). We promise to promote you (and you know we’re really good at doing that) and turn this into an opportunity. All member work will be juried by the MAAG Curating Committee. MAAG publicity. Your artwork will be listed on our website and virtual media. Exhibit in our Gallery. This show will be previewed from September 10 through the evening of September 20. PLUS, extra added bonus! 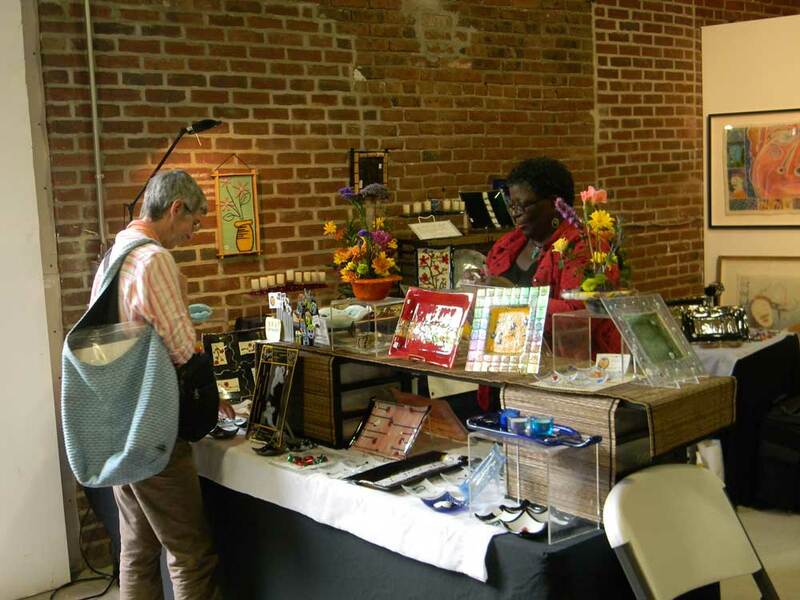 Your work will be viewed at Mt Airy USA’s Sept. 18th Street Celebration where thousands of people are expected to attend to “sip, savor and stroll” the Mt. Airy scene. Display on our Web site. All Silent Auction artwork will be displayed on the MAAG web site along with artist bios and contact information, at no charge. No more than 250 words telling your story for the website. One page bio that we will share with the patron purchasing your work. Delivery of work is Sat., Sept. 6 from noon – 6 pm and Sunday, Sept. 7 from noon – 5 pm. 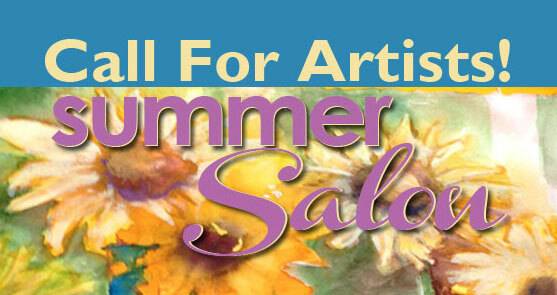 For more information on donating artwork, services or classes, contact arleenolshan@yahoo.com or call 267.240.3302. Painting above, top right, (c) Sara Steele. http://mtairyartgarage.org/wp-content/uploads/2014/07/DiamondHead-R-sara-steele.jpg 300 681 Arleen http://mtairyartgarage.org/wp-content/uploads/2016/06/maag-in-action_main-1024x274.png Arleen2014-08-09 18:59:562019-01-30 14:51:29Call For Member Artists: 5th Anniversary Celebration! This is your opportunity to have gallery wall space, floor to ceiling, a salon style exhibit of your work (2-D works only or works that hang on walls). You can fill your wall with as many pieces as possible. As we sell pieces off the wall, you have the opportunity to rotate in more work. The walls vary in size from 6 – 12 feet horizontally with heights up to 12 feet. The rent is $100 per wall space (payment accepted via PayPal below). Applications are available HERE. Gallery requirements for submission HERE. Once we receive payment along with your full application, you may select your wall (first come, first served basis). Please send jpg selections of your work (300 dpi), along with your application and bio, to images@gmail.com. These may be used for promotional material for the show. Deadline is June 22. 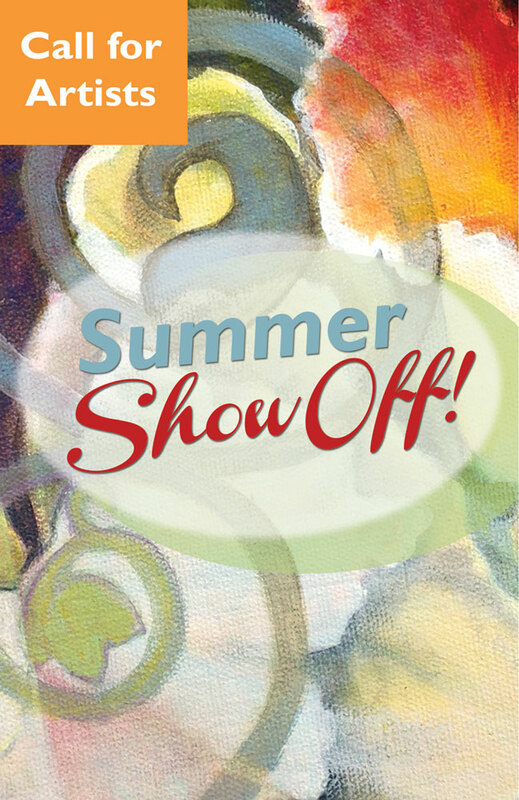 The second annual MAAG Summer Show Off exhibition will open in the Solomon Levy Gallery on June 6, 2014. We know you have worked all winter in your studios (the weather was SO bad you had nothing else to do), and now is the time to bring out your best work and show off your efforts. This is a member only group show. The media is not restricted. This is your opportunity to exhibit drawings, paintings, sculpture, photography, collage and/or mixed media (nothing larger than 4’ x 4’). Please send your application form, your entry fee (payable by PayPal below or by check) and the images of the pieces you are submitting via jpeg at 350 dpi (2100 pixels on the largest side) to images.maag@gmail.com. Include the Title, Media, Dimensions, and Price with the image submissions. The fee for participating in this exhibition is $10 for each submission with a limit of two submissions. Be advised that submitted images may be used for advertising and marketing if the work is accepted. We will notify you if your work has been accepted. Drop off of your work is May 31 from 12–6 PM and June 1 from 12–5 PM. This is a curated show, and you must be a member to submit. All 2 dimensional works of art must be suitably framed and ready for hanging and installation. No saw tooth hangers will be accepted. 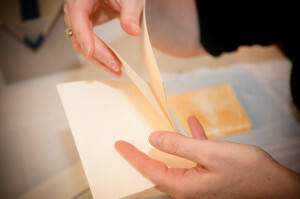 All works on paper or photographs must be behind glass or Plexiglas. No clip frames will be accepted. There are a very limited number of pedestals for 3 dimensional work. Please inquire during drop off of work or call ahead to make additional arrangements. All art works must have an identification label attached with artist name, address, telephone number and current email address. Payment is required at the time you drop off your art work. All work must be for sale. MAAG will receive a 30% commission on all work sold in the gallery. If the art work is shipped to or from MAAG, the artist is responsible for all packing, shipping and insurance costs. The artist is responsible for settling all claims with the carrier. MAAG assumes no liability for any damage that may occur during the exhibit. MAAG is not responsible for any artwork left past the pickup date. All accepted work must remain on display for the duration of the exhibition. You can download your application HERE and mail it, along with your check, to MAAG. Or call 215-242-5074. You can pay via Paypal directly but don’t forget to send us your application. You can also pick up an application at the Mt. Airy Art Garage, 11 W. Mt. Airy Avenue, during our regular hours Wed. & Friday, noon till 7 pm, Thurs. & Sat., noon till 6 pm, and Sunday, noon till 5 pm. The Mt. 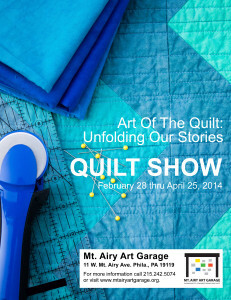 Airy Art Garage (MAAG) invites Quilt Artists to submit work for a juried show celebrating the art of the quilt. 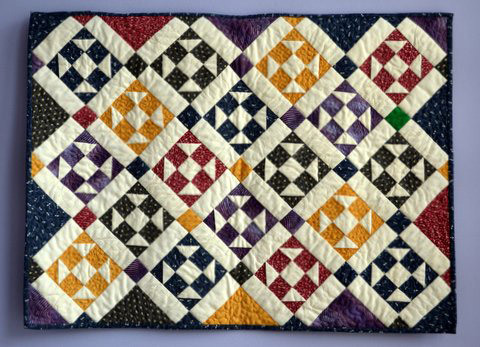 Quilts fall into many categories, including but not limited to traditional, contemporary, modern and art quilts. 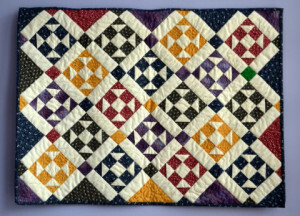 Regardless of genre, each quilt is the material and visual expression of the maker’s vision and creativity. 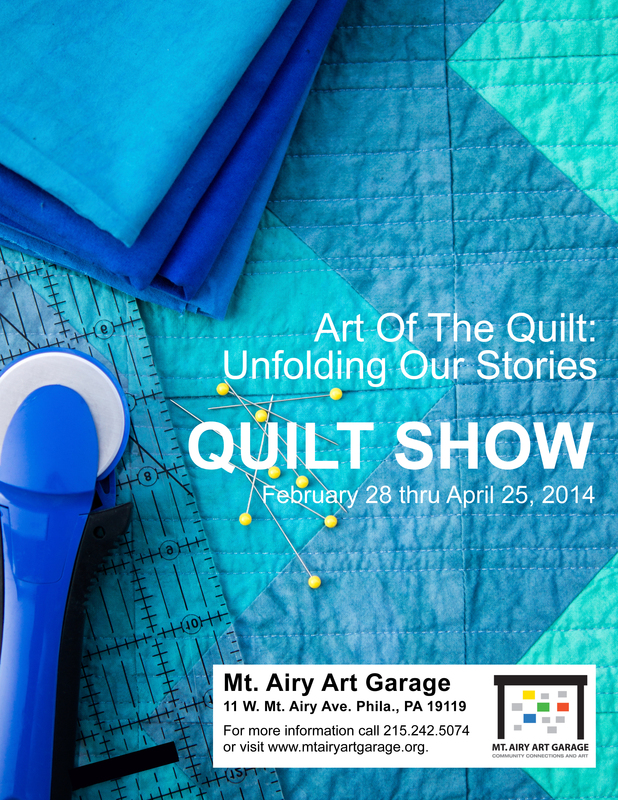 The goal of this show is to celebrate the many forms of the quilt as art. Whatever your level, you have a story. MAAG is a community based, non-profit member arts center featuring artists from Northwest Philadelphia. The show is open to members and non-members. Download both the Entry Requirements and Artist Entry Form below. You can also submit your jurying fee with PayPal (bottom of the page) or mail your check with your application. 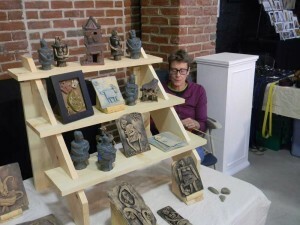 For more information, visit www.mtairyartgarage.org or call 215.242.5074. 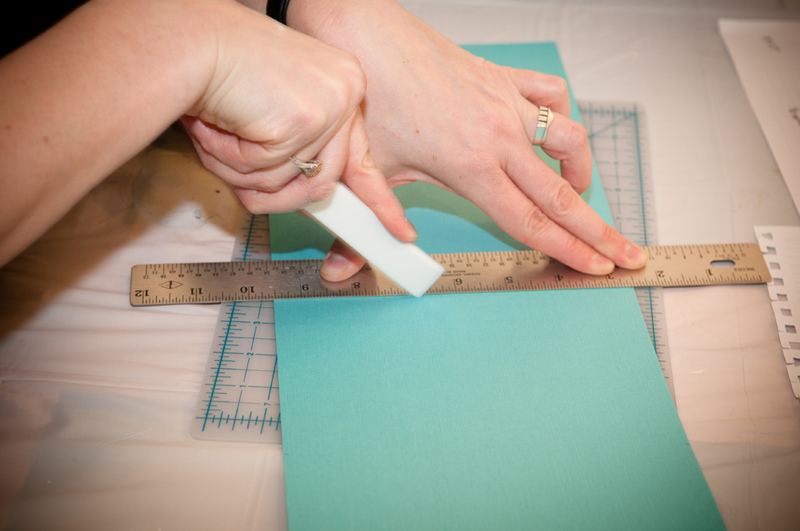 This show seeks to dispel assumptions about paper art as a medium. Paper is thought to be ephemeral meaning temporary, preliminary, and disposable. We challenge these notions and expect to present an exhibition that establishes paper works’ place in the fine arts. We are seeking works in all media of paper. We encourage submissions of professional quality works of sculpture, collage, book arts, constructions, installations, mobiles, drawing, print making, photography, painting and all experimentation. Open to all artists. Applications are due January 4, 2014. Show opens January 16. Find out more about gallery guidelines here. Download your application here. Open Call: Applications for MAAGs Juried Holiday Shows in Nov./Dec. Our gallery is filling up for both the November and December shows. Live music will abound (artists + music = party!). The word is out… MAAG is THE place for Thanksgivukah, Christmas and Kwanzaa gifts, especially when the work is Northwest artists. And there’s still room for you. 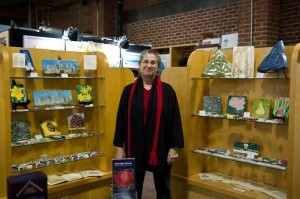 All artists are invited to submit your work for sale at our Holiday Shows. All work must by your own original work. Shows will be held Nov. 16 & 17 (for Thanksgivukah) and Dec. 14 & 15 (for Kwanzaa/Holidays). The cost for each weekend table is $100 for two days. We are also offering wall space in the gallery (members only). Not a member yet? Now could be a great time to join! Special for MAAG members only! Have you been hoping to display a wall or a case of your work in the Solomon Levy Gallery at MAAG? This season is your time! We are offering ½ walls and cases for up to 10 more artists to show and promote your work. There will be a 30% commission for work sold during regular Gallery hours each month. Any member artists displaying their work on the walls (tall cases do not apply) may also participate at that month’s art market at no additional charge. 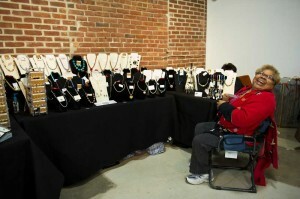 The artists retain 100% of their sales when selling during the art markets. We’re planning on throwing one heck of a holiday bash! Join us, join the artists, join MAAG. http://mtairyartgarage.org/wp-content/uploads/2013/09/sized2012-HolidayMarket-Michael-Studio-1.jpg 665 1000 Arleen http://mtairyartgarage.org/wp-content/uploads/2016/06/maag-in-action_main-1024x274.png Arleen2013-11-03 11:53:152019-01-30 14:45:55Open Call: Applications for MAAGs Juried Holiday Shows in Nov./Dec. As we gear up for a dynamic fall/holiday season we’re thinking up new and exciting ways to have your juried work sold at MAAG! This is your chance to sign up from October through December, one month or more, at great table prices, and a wonderful, heated indoor artist’s community space. Some opportunities are for MAAG members only, others are open to all artists. So please read on! And if you’re not a member yet, this could be a great time to join right here. 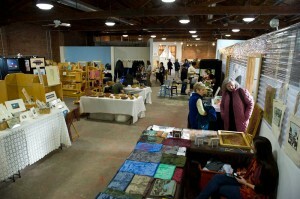 All artists are invited to submit your work for sale at our Holiday Shows. The shows will be held Nov. 16 & 17 (Chanukah Show) and Dec. 14 & 15 (Kwanzaa/Holidays). The cost for each weekend table is $100 for two days. For information and the artists’ application, please click HERE. We are offering ½ walls and cases for up to 50 artists to show and promote your work. There will be a 30% commission for work sold during regular Gallery hours each month. Any member artists displaying their work on the walls (tall cases do not apply) may also participate at that month’s art market at no additional charge. The artists retain 100% of their sales when selling during the art markets. POST: Friday, October 19-20. For wall/case renters delivery Monday, September 30 from 4-8 pm. Holiday Art Market: Friday, November 16 – 17. For wall/case renters delivery October 26 & 27, noon till 5 pm. Holiday Art Market: Friday, December 14 – 15. For wall/case renters delivery November 23, noon till 6 pm. For a limited time, we still have one studio available at the Mt. Airy Art Garage. Be part of our Northwest Philadelphia thriving arts organization, an incubator for both professional and emerging artists in Germantown, Mt. Airy, and Chestnut Hill. We’ve got heat, AC, and 2 handicapped-accessible bathrooms. We’re one to three blocks from all public transportation. We’re located in the midst of the thriving Mt. Airy commercial corridor. 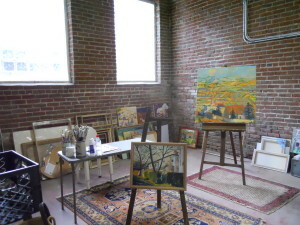 And we have one studio still available. Studio #5 is available. It’s got 2 massive windows that let the light pour into 300 SF of heaven. Recently built, this is our largest studio. 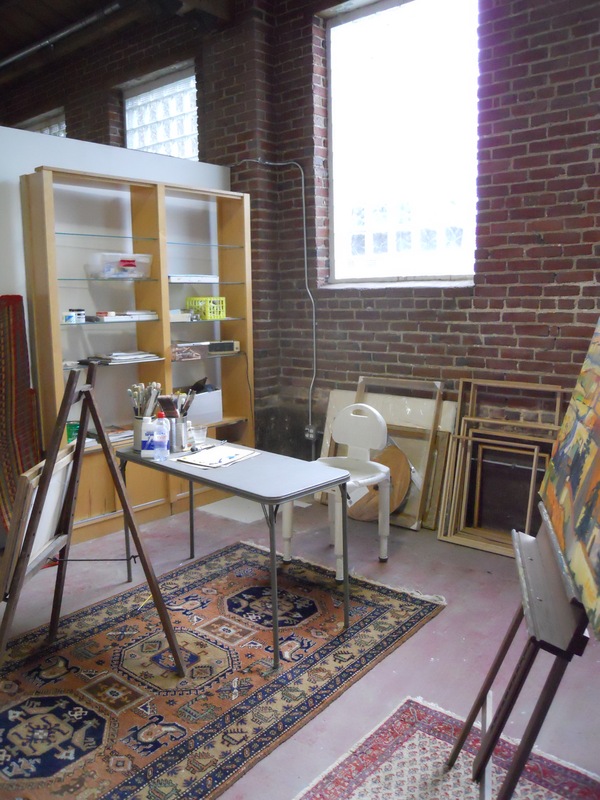 $475/mo., year’s lease, and you are permitted to share the space with another artist. This studio rents to MAAG members only, so if you’re not a member, now’s a good time to join. You will not just have a space for your own work; you’ll have access to a large and supportive community. We are home to other working artist studios, the Solomon Levy Gallery, artist-driven workshops and events, fine art and handcraft markets, and more. At the end of the day, our goal is to provide communal space for artistic creativity, collaboration, and celebration. MAAG Silent Auction Is Ready & Waiting For You! Your love for original fine art and handcraft! 50 local MAAG member artists have donated their work to support the Mt. Airy Art Garage. 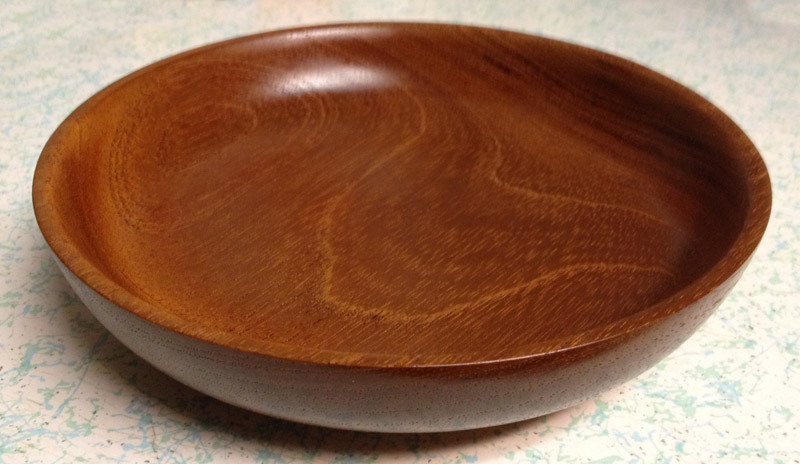 Feast your eyes on just some of the work you’ll have a chance to bid on… HERE. Your love for the arts! Museum memberships, musical instruments and recordings, art classes by reknowned local artists…all for a good cause. Your love for a great meal at your favorite restaurant! Yes, it’s true. Gift certificates galore! Your love for live music and the performing arts! Live music featuring Andy Trackman on piano with Gaille Hunter on vocals. Then we’re going to change it up with some klezmer by Objective Perspectives and friends. Get ready to kick it! Your love for good food and drink! With food ranging from Herschel’s East Side Deli to local specialties, cakes, delights and drinks…you’ll be feasting. Your love for community, the arts, and supporting MAAG. What better than an evening of art and music combined with camaraderie, good food and drink, and community…all for a good cause. Tickets $30 if you buy now. $35 at the door. Buy your tickets now. It’s going to be quite an event! http://mtairyartgarage.org/wp-content/uploads/2013/09/DiamondHead-R-Sara-Steele.jpg 300 681 Arleen http://mtairyartgarage.org/wp-content/uploads/2016/06/maag-in-action_main-1024x274.png Arleen2013-09-09 20:01:542016-06-01 16:45:40MAAG Silent Auction Is Ready & Waiting For You!